“Every day they lived in torture, every day, all day long,” she said. Rogers is currently housing several of the children and the others are also with extended family. Police arrested the children’s father, Jonathan Allen, on Friday and charged him with nine counts of felony torture and six counts of felony child abuse. Allen, 28, was being held on $5.2 million bail and has pleaded not guilty. The Fairfield California Police Department said officers first encountered the children on March 31 after responding to a report of a missing child. As part of that search, officers went through the residence and found “unsafe and unsanitary living conditions, including garbage and spoiled food on the floor, animal and human feces and a large amount of debris making areas of the house unpassable,” Greg Hurlbut, a lieutenant with Fairfield police, said at a news conference Monday. The missing child, a 12-year-old, was found asleep under a bush in the yard of a nearby home, police said. The officers contacted the Sonoma County Welfare Office and took custody of all ten of the children, who range in age from 4 months to 12 years, that night, Hurlbut said. The children’s mother, Ina Rogers, was arrested that night on child endangerment charges and has since been released after posting $10,000 bail. Hurlbut said police opened an investigation and were able to interview the children, who detailed disturbing incidents of alleged abuse that went back several years. “The children described incidents of intentional abuse resulting in puncture wounds, burns, bruising, injuries consistent with being shot with a pellet gun or a BB gun,” he said. 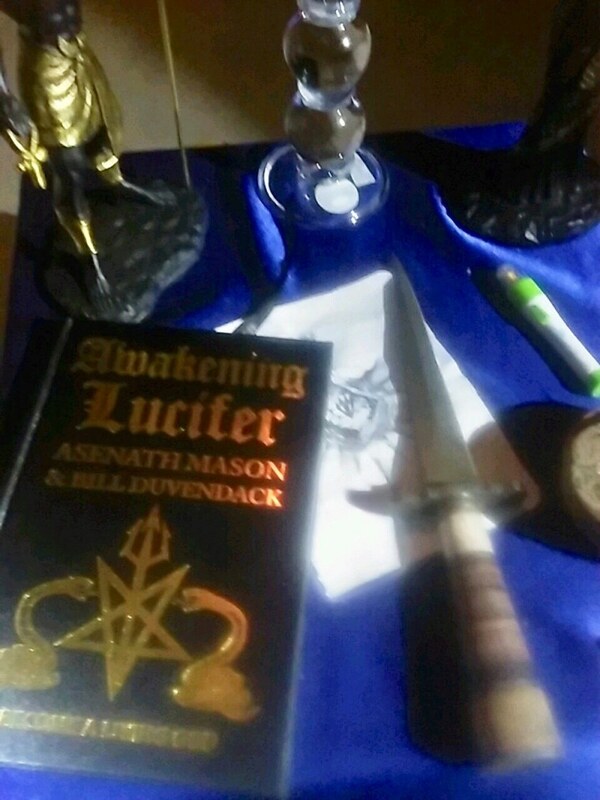 The children’s grandmother accused her son-in-law of devil worship and provided pictures which she says show his “devil room.” The photos appear to show a table with a knife and a Satanist book. Police have said some of the alleged abuse appeared to be for a “sadistic purpose,” but did not elaborate on what that meant. “Jonathan worships the devil. He had a devil room, a devil room that he called a meditation room,” Wanda Rogers said. “I can’t believe we’re going through this, my whole family, this is a nightmare,” she said, crying. NBC News is not naming the children because they are alleged victims of torture and child abuse. The children’s mother denied that she or her husband had abused their kids. “There’s no broken bones. There is no major scars, nothing,” Rogers told reporters in front of her house. “My kids get bumped and bruised and scratched because they’re kids, but that’s it.” Rogers insisted she and her husband love their children. “My children are my life,” she said. Rogers said child protection officials visited their home several years ago but did not say why. Fairfield police did not immediately respond to questions about this visit. Allen’s family said in a statement they were “appalled, disturbed, and saddened about what had occurred” when they heard about the accusations. “We have not kept in contact with them for years. We hope that the children will be together and far away from these horrible conditions that they were kept in by the ones who were suppose [sic] to love, and protect them from harm,” his aunt and uncle said in a statement. 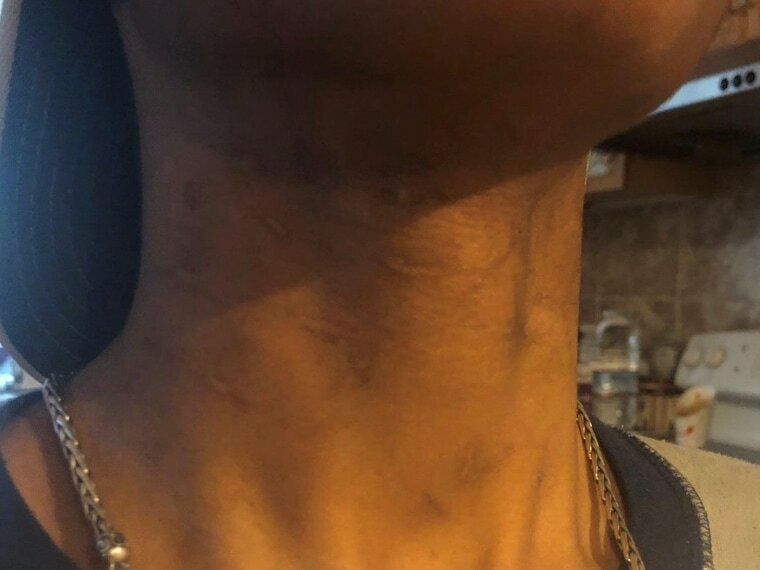 The case comes just months after another high-profile case in the state involving alleged child abuse after authorities say they found children shackled and filthy in a suburban home in Perris, California, in January. Prosecutors have said the children were starving and beaten, choked and shackled to their beds. The parents in that case have pleaded not guilty and their trial is pending. Alan Cohen reported from Fairfield, California, and Daniella Silva reported from New York.